Who is ready for the holiday this weekend? I hope you all have something lovely planned for your Memorial Day! If you are getting out of town for the weekend check out Piperlime for some fashion inspiration! They put together a fabulous chic getaway packing list! I always struggle when deciding what to pack, so I love these helpful and stylish ideas. 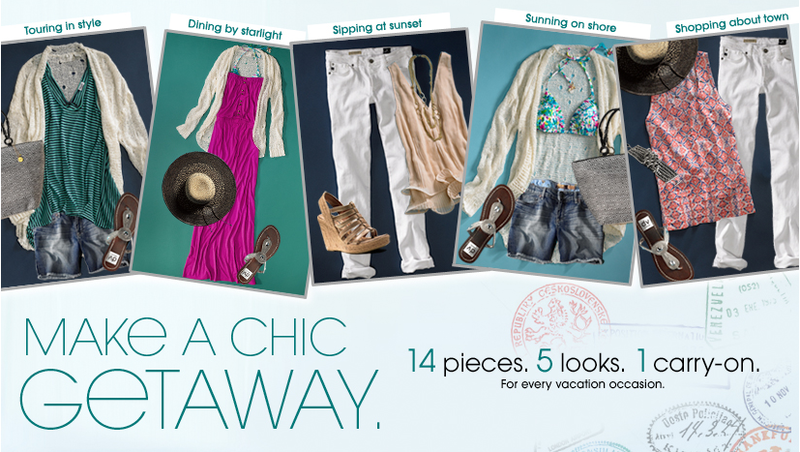 All the looks are perfect for a summer getaway. Come up with your own weekend getaway looks with a mix of your favorite clothing items (and swim suit) and say goodbye to over packing! It is only Monday, so you have plenty of time to perfect your looks!